Distinguish productive from unproductive loans. Dirk Bezemer is a senior lecturer at the Faculty of Economics and Business Administration at the University of Groningen. He studied in Wageningen and obtained his PhD at the University of Amsterdam (2001). He won an EU scholarship to do two years of post-doctoral research at Imperial College in London and then worked for several years in the private sector and in the public service in the United Kingdom. His research areas are development economics and the role of the financial sector in the economy, for which he won several research scholarships (2011,2012). 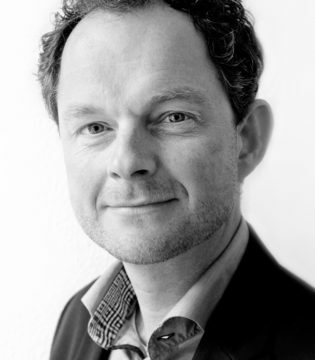 Bezemer publishes both scientifically and for a wider audience (NRC Handelsblad, Volkskrant, Financial Times) and is active as a speaker and in policy advice for UNECA, UNCTAD, FMO, IMF and OECD, among others.